I've been crabby for the last month. As in thinking about the cans of jumbo lump crab in the refrigerator, not my mood! 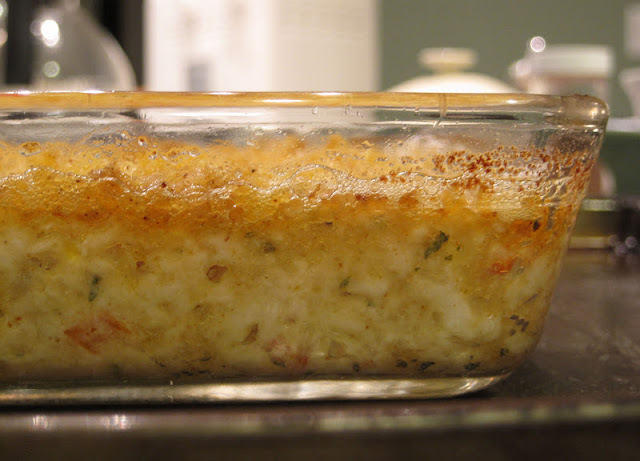 Usually we use the crab to make crab cakes or the orzo-artichoke-tomato-crab pasta dish. But I wanted something different. Plus the orzo dish is a good spring/summer dish. I thought about a crab imperial and looked it up in several cookbooks. Our Cover & Bake cookbook has a crab imperial recipe, but it calls for cod in addition to crab. Even though those recipes have been reliably super tasty, I wasn't sure if I wanted fish contaminating my crab. 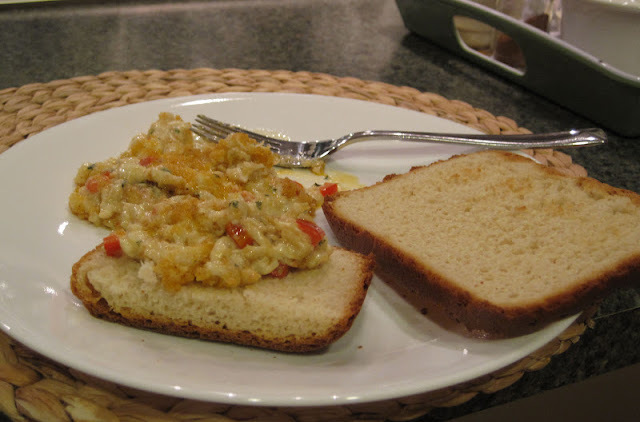 I looked up other crab imperial recipes, but the creaminess, the high fat content, the cholesterol of this dish kept me from actually making it. Plus, my fear of it being rubbery, or bland, or any of the other potential pitfalls listed in Cover & Bake's recipe development description. But I kept thinking about those cans of crab. Especially since there is another Seafood Stock Up Sale at GEMD this Saturday. I was set to just make crab cakes again when I opened the newest issue of Saveur and discovered a recipe for crab imperial. We were looking for a quick & easy dish, something that would make about 3 meals since we have evening plans most every day this week, which means really quick meals or grabbing fast food on the evenings with plans. This recipe seemed super easy, quick, about the right size, and all we needed to buy was a red pepper & some cream. I figured we should just make it, to get the crab imperial craving out of my mind. 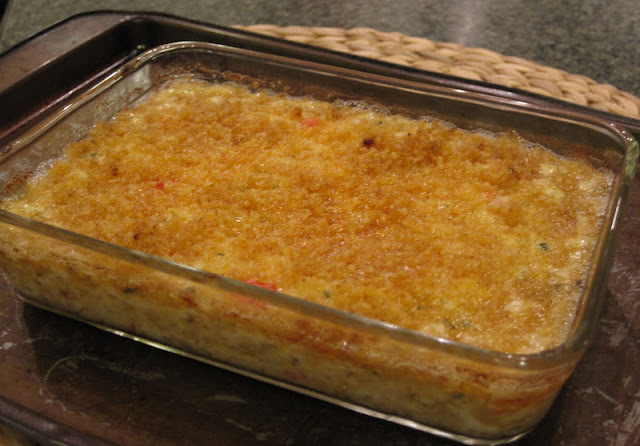 It takes about 10-15 minutes to make the crab mixture, then 20 minutes to bake it. 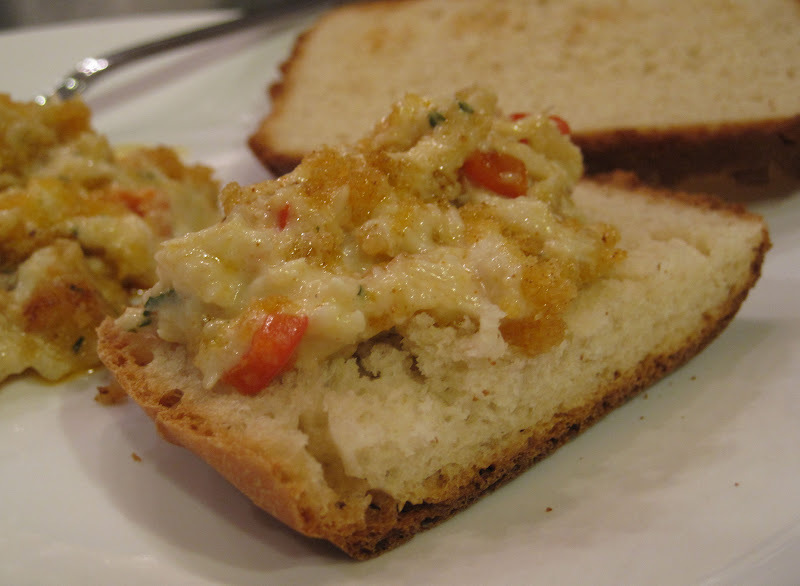 We scooped the creamy, deliciously crabby mixture onto the warm bread. 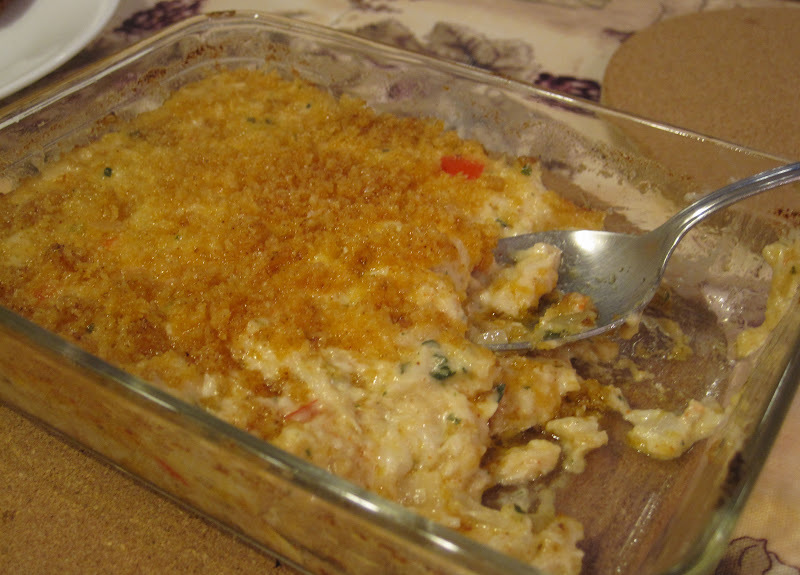 Crab mixed with onion, red pepper, panko, melted butter, Worcestershire, sherry, lemon juice, paprika, cayenne, dry mustard, parsley, and cream. We roasted some asparagus, too. Hopefully, the asparagus will counteract the 'bad' of the crab imperial! Not the healthiest of meals, but oh is it tasty. The paprika and cayenne give it a nice kick. It lingers on your tongue and you know it's there, but it's not overpoweringly spicy. 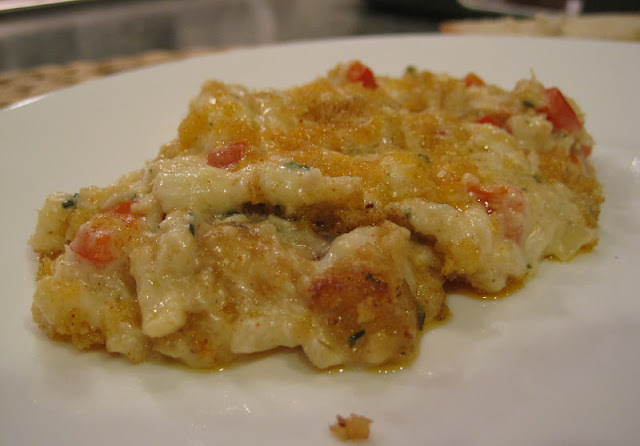 We would definitely make this again, maybe for dinner guests along with a huge salad. That way, we won't eat all of the crab! Or maybe as a hot appetizer at a party, served with bread or crackers. Thanks very much for this post. I saw the Saveur recipe also and decided to make crab imperial for my mini Oscar Party tonight. I've never had it before and was very happy to read in your blog how easy it was and see the beautiful photos. That gave me a confidence boost, lol. You made my day!